The Theory Of Everything – Hawking on film | Shut Up Hamish! I’ve been out of touch with films for some time, so I thought I’d better catch up, seeing as it’s the Academy Awards later this week. I’m pretty jaded these days and I know longer care who wins the big awards, and I’m fairly jaded with the experience of going to the cinema as well, but never-the-less I gave this Stephen Hawking bio-pic a go. 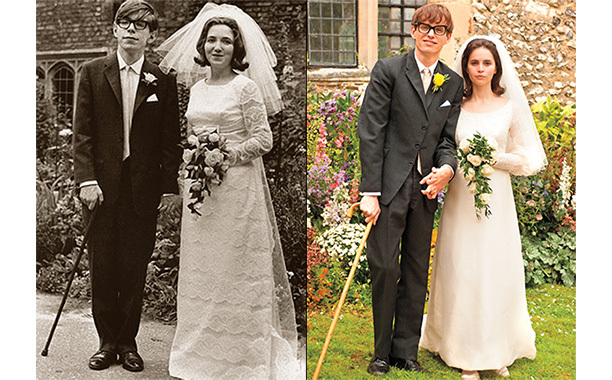 It’s a good film, and though predictable in usual Oscar bait fashion, Eddie Redmayne as Hawking is pretty remarkable, as is Felicity Jones as his wife, Jane Wilde. It cannot have been easy for Redmayne to pull off the various stages of Hawking’s life, both the eccentricity of his early life and his rapid physical decline due to motor neurone disease. The filmmakers never get manipulative with the emotional content of the story, instead presenting it as it was, investigating the complex nature of Hawking and Wilde’s relationship as they move from being loves, to husband and wife, and encounter many of the same issues that face all couples. The direction is clever, with certain elements chosen to reflect Hawking’s theories (particularly those about time). The science is simplified, but not skipped over, so the film is some sense representative of Hawking’s career. 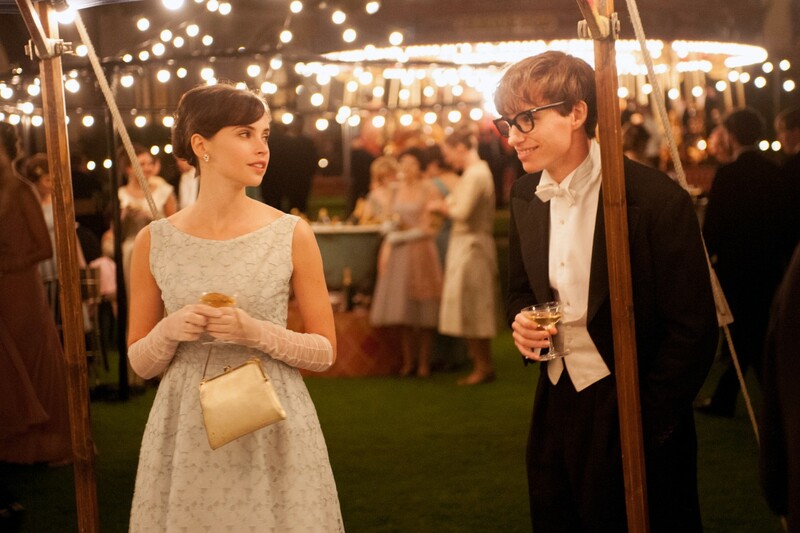 Perhaps what I like most about the film, is it has gotten me interested again in Hawking. I’ve always meant to read his Brief History Of Time and I imagine soon I will. The film has so far inspired me to watch the Errol Morris documentary based on that book and I recommend that film to anyone interested in Hawking’s life and his ideas. It goes well beyond the scope of a bio-pic, so in my opinion it’s still the more necessary of Hawking on film. The whole thing is on youtube, so check it out if you haven’t yet. 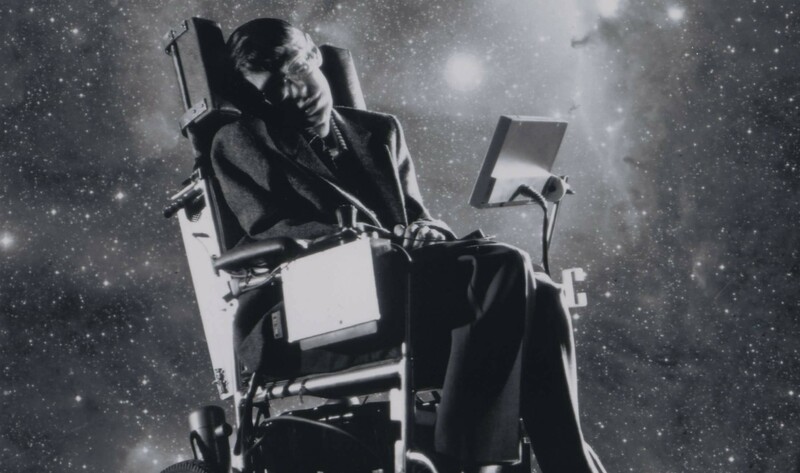 Produced in the late-80s, Hawking narrates the film from his wheel chair, via characteristic robotic speech. Exploring both his theories and his life, with re-enactments, archival footage, interviews with his family and colleagues and fantastic sci-fi-esque sequences that portray Hawking as a mysterious traveler of space and time – the film is a masterpiece of mixed media documentary form. Surely one of Morris’ best, if not one of the greatest documentary’s ever. After I’ve read Brief History of Time and perhaps some more recent of Hawking’s writings (and anything else relevant), I hope to be able to discuss his theories more in depth and will hopefully do so on this blog. He has lived a very inspirational life, as the recent bio-pic and classic documentary reveal. Not everyone would lose all their motor functions, their ability to speak and continue to do work and live a relatively normal life – it helps I guess that Hawking had the money and esteem for nurses and technology and people to help him through his struggles, but never-the-less, as particularly the documentary points out – not everyone could live and create a life’s work predominantly inside their head (without being able to greatly make contact with the outside work in a traditional way) . Towards the end of Brief History Of Time, things get really deep, discussing the curved nature of the universe, the fact that it may not have a beginning or an end – and that how many calculations seem to indicate that the future effects the past. All awesome and mid boggling theories. Hawking ends by discussing how, if scientists, philosophers and the general public are able to one day discover the meaning of our existence on earth – then we will know the mind of God. Massive ideas there, and very inspiring – part of why Hawking’s influence has traveled so far, from books, to documentaries, to Oscar contending bio-pics.